With Bonfire night this weekend, there is sure to be a lot celebrations. But while we love the spectacle that fireworks bring, our pets find the loud noises and bright lights incredibly stressful. So for many anxious pets, it’s guaranteed to be a long night. There are lots of simple things you can do to help your pet, so we’ve provided some precautions you can take! …It’s key to plan ahead! 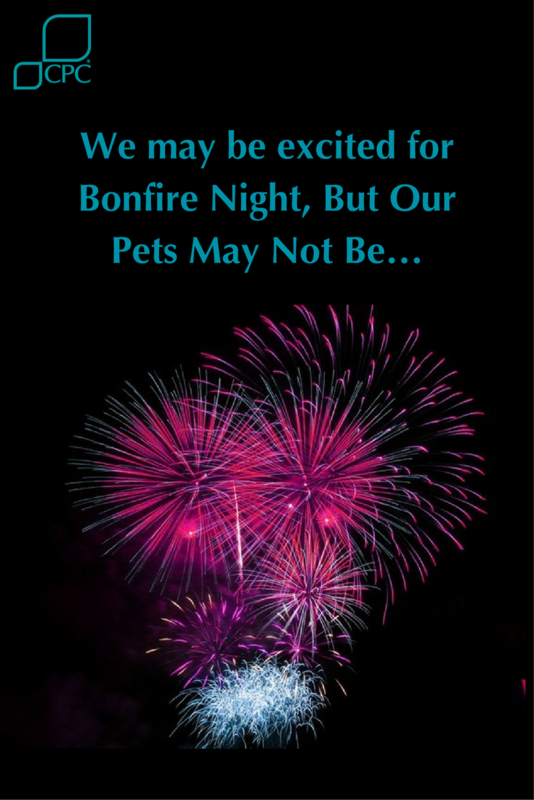 Why do animals find Bonfire night so frightening? Animals also have acute hearing, so loud bangs and whistles can actually cause pain in their ears. 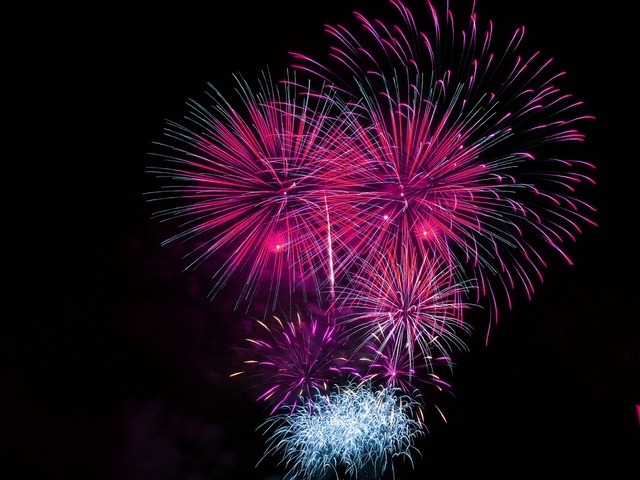 Pets can be extra sensitive; so they may require extra attention over the fireworks period as the probability of them escaping is higher if they aren’t looked after properly. Never take dogs to a Bonfire night fireworks display, even on a lead. Try to walk your dog during the daytime so they don’t need to go out at night. If at all possible, don’t leave dogs and cats at home alone when fireworks are likely to be going off. Make sure cats are shut inside the house by closing windows and locking cat flaps. If you do have to go out, don’t tie dogs up in the garden or leave them in the car. If your pet has made a mess whilst you are out, don’t be cross with him or her. Blackout blinds can be useful as they muffle sound as well as blocking out the light. Make a den out of blankets and boxes, as your pet will feel safer if he or she can ‘hide’. 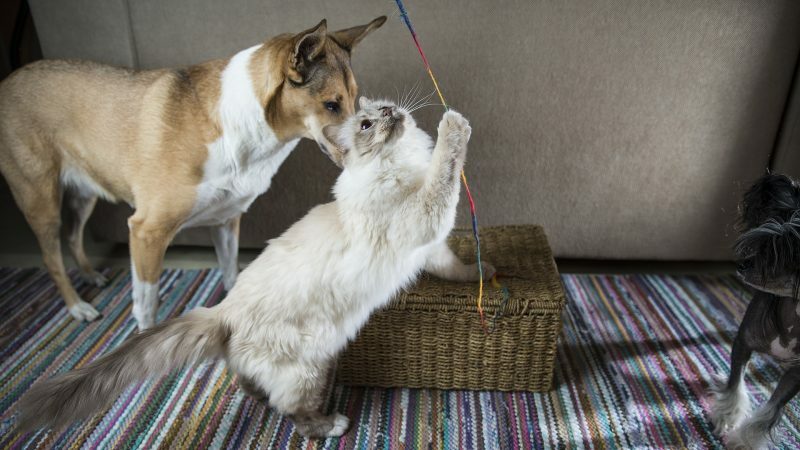 If your pets body language changes to be more rigid, give them space. Put the TV on or play music to distract your dog or cat from the noises outside. Stay calm and relaxed – pets sense human emotions and will become even more fretful if they pick up on your anxieties. Bring outdoor hutches into the house or, into a shed/ garage. If this isn’t an option, turn the hutch around to face a wall or fence, instead of facing outwards. Cover hutches and aviaries with a blanket to muffle loud noises and block out flashes, but make sure there is enough ventilation. 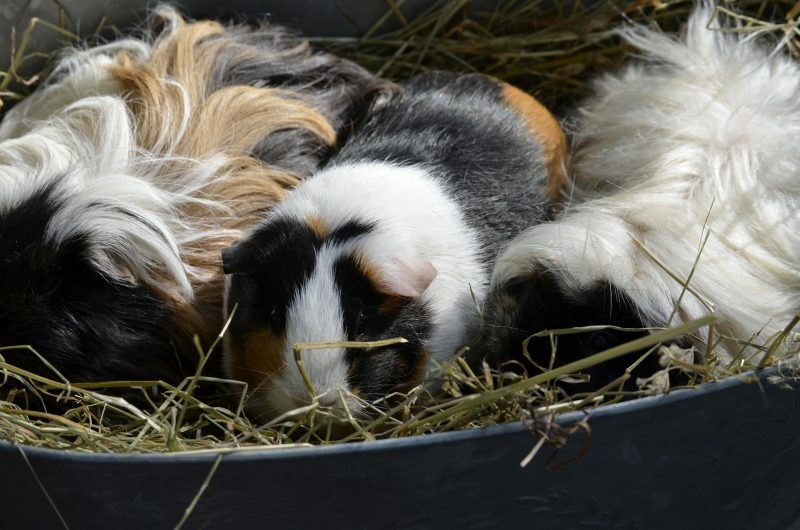 Provide extra hay or straw for burrowing, as this allows small animals to feel secure. Let’s not forget about live stock and larger animals like horses, if you live rurally. If you have a horse and live stock out in a field, check locally to see if there are going to be any firework displays in your area that may affect them. Where possible – tell the organisers of firework displays that horses are nearby and ask them to set off their fireworks in the opposite direction. For more tips on keeping your horse safe and secure during the firework season, check out the British Horse Society. If you are having a firework display at home, please be sure to, make sure you clear up after as firework debris and litter as they can be harmful to animals. The same goes for bonfires; they can be fatal to wildlife because a pile of leaves and wood is there perfect nesting place. Build your bonfire as close to having it lit as possible and really disturb the bonfire before to check for animals hiding before lighting. Firework phobia is a treatable condition and animals don’t have to suffer to keep suffering year after year. You can seek advice from your vet who will, if necessary, be able to refer you to a professional animal behaviourist. The RSPCA also offer a helpful guide to help pet parents make their animals feel safe around the firework season.